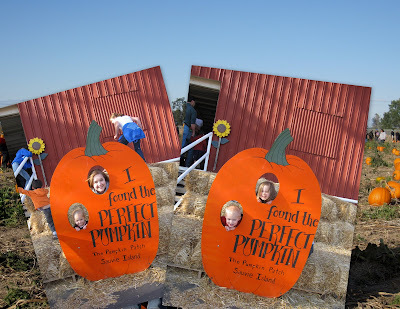 We decided to go the the pumpkin patch this weekend and had a super good time! The barrel cow ride is what the kids looked forward to the most and when we saw this lone cow it was all we could do to get the three of them out of it.!! 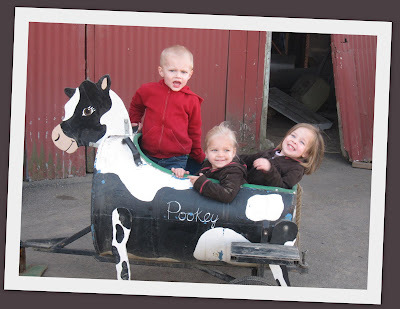 The farm animals weren't that great but we got some fun pictures out of it! 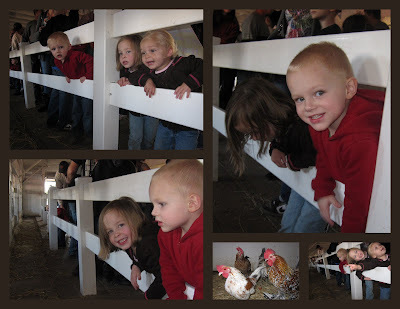 The kids liked the chickens the best! 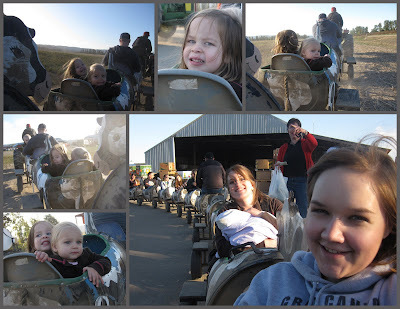 We took the hay ride out to the field so that we could find our pumpkins! That was a lot of fun and we got this great picture of Heather, Nick, Nolan, Adelyn, and yes... Addison decided that she wanted to be a part of their family too! 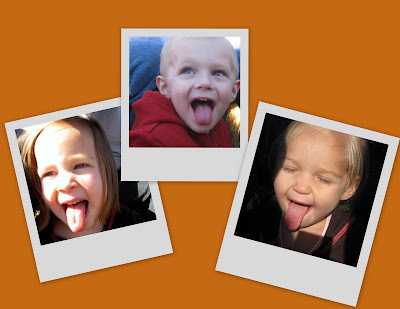 Bumping around on the hay ride and sticking their tongues out. 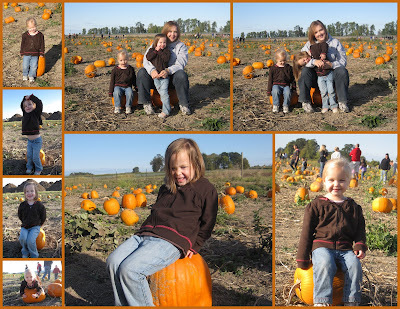 Over all we had a great time at the Sauvie's Island Pumpkin Patch!!! We missed daddy though who was on a camp out with the boy scouts. 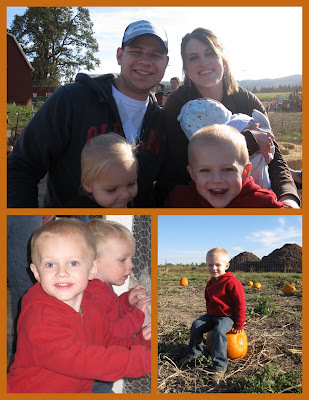 Hopefully he can come next week to the next pumpkin patch on our list! The infamous cow ride!! What the kids were waiting for the whole time!! We all got on and got dusty but it so much fun!! It's great to still act like a kid sometimes!!! OH these pictures are great!!! So much fun I can't wait to do it again!